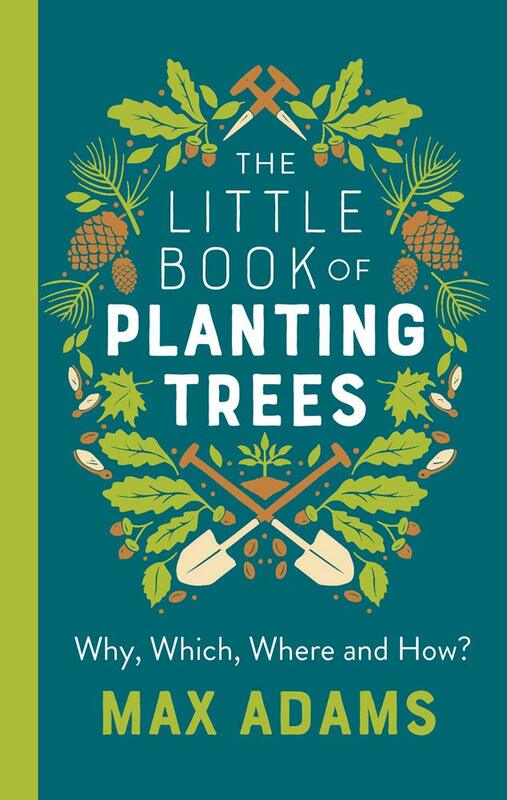 Feb 25th…Today I got the first copy of my new book, The Little Book of Planting trees. It looks good. Previously… We are in the middle of a late arriving winter – the end of January 2019. We had snow and some frosts in December; then most of January was dry, quite mild and often sunny. Up on the plantation I have been busy. I bought a thousand tree tubes and stakes and set-to coppicing the same number of trees that had been badly browsed by deer over the last four years. I cut them right down to the ground, clear any weeds around them, remove any old rabbit spirals and they should now have a new lease of life. It’s amazing how quickly trees respond to such treatment: they will grow one, two or more stems from the small stump, and should reach the top of the new tube (4ft or 1.2 metres) by July or August this year. This last week of January we have had our first meaningful rain; I can see snow on the Pennines and we have had some sharp frosts – all good, because a good spring needs nature to be reset by this period of real cold. I look forward to March when the seeds I sowed last autumn should sprout and produce saplings to fill in various bald patches where the deer won out: holly, Scots pine, hornbeam and oak. In the last two weeks, taking advantage of oddly dry and firm rides, I have been attacking the hawthorn edge along the east side: cutting the outgrown shrubs back to about 2 feet high, from where they will re-sprout so that I can eventually lay a strong hedge to keep out deer and neighbouring horses. As a nice bonus, we now have about a ton of logs and sticks for next winter’s fuel supply. Last winter’s new pond is quite full now, and the water clear: we wait with impatience to see if we’ll get any frogspawn; and the plants I put in last year will start to show green in the next six weeks or so. My next task is to make up some specially shelters for coppiced hazels, which will sprout multiple stems when I cut them. They won’t like to be confined in tubes, so I have got some rolls of 1.2m fencing wire, and I cut them up into sections to make circular mini-fences, about a foot across, and stake these over hazel stumps when I cut them. Establishing a hazel coppice rotation is one of the first priorities in a new wood; the previous owner, who planted the original trees, didn’t see fit to have any hazel or Scots pine, but for me they are must.